If there’s anything we can learn from the first two trailers for Showtime’s upcoming financial drama Billions, it’s that Paul Giamatti’s yelling capabilities haven’t waned and having a lot of money might make you kind of a douche. To drive these two salient points home, both teasers have heavily employed the use of Damien Lewis and Giamatti (figuratively) whipping their manhood on the table with respective lines like “when did it become a crime to succeed in this country?” and “you wouldn’t know the right thing to do if it sucked your tiny goddamn” who-knows-what, because the miracle of editing will keep us guessing until the show actually airs. Billions is already being positioned as a marquee show, so it’ll likely have its fair share of guest stars. 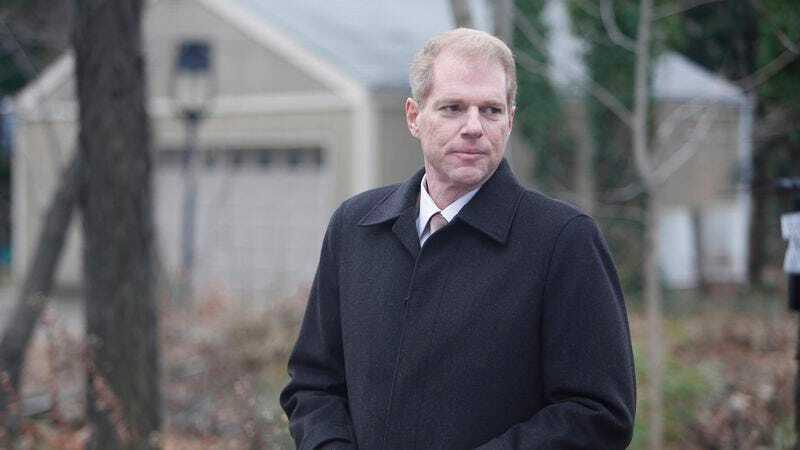 According to Variety, one of those will be The Americans’ Noah Emmerich, who will join for an episode as Bobby Axelrod’s (Lewis) longtime friend. The two will go on “an impromptu road trip that tests the limits of their bond,” possibly because Axelrod, a billionaire hedge fund hotshot, quickly gets tired of his kooky pal’s taste in music and/or insistence on recreating every scene from Harold And Kumar Go To White Castle. The main cast also includes Maggie Siff, Malin Akerman, Toby Leonard Moore, David Costabile, and Condola Rashad. Billions’ 12-episode first season will debut January 17, 2016.